“You can choose your friends but not your family.” As cliché as it might sound the statement relating to family is very true; your family can either be your strength or your weakness. During the holidays family matters seem to take center stage because it is a time when conflicts, money and feelings can be tested. How you choose to handle conflict will determine whether you can actually enjoy one another¹s company during the holidays. 1. Forgive even if you can¹t forget: The holidays are the perfect time to forgive past hurt done to you by a family member. Forgiveness is more important for you than for the offender because it affords you the opportunity to release bad feeling that you hold inside. 2. Shift the conversation: Stay away from negative talk. If you find yourself or another family member talking about a controversial topic that can lead to an argument, shift to something lighter and remain neutral. 3. 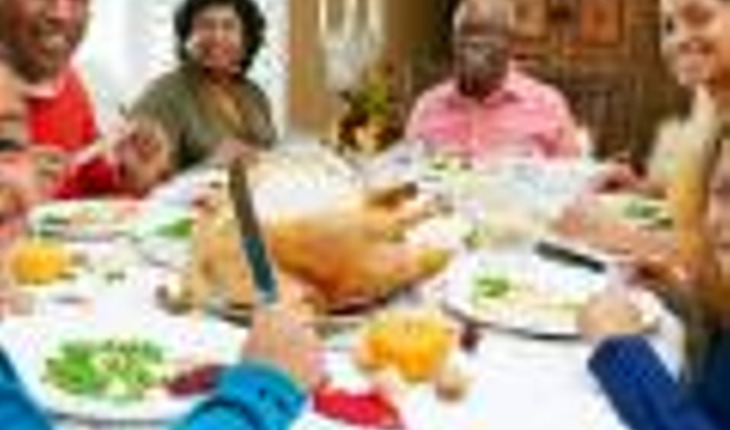 Stay away from money matters: Yes, money is important during the holidays but asking for a loan or calling in one during a family gathering is cause for tension and undue pressure. 4. Happy memories first: Holiday family gatherings are the perfect time to talk about funny childhood antics or times when the family enjoyed all things in common. 5. Don¹t over indulge in alcohol- Too much alcohol can make a person lose control and even act in an irrational manner which is a sure way to ruin a family gathering. 6. Laughter is great- Laughter is the best medicine when family comes together. Laughter can be contagious play games or tell stories watch a program that makes you laugh. 7. Be a team player- The reality is you can¹t change people; the only thing you can change is how you respond. If you have a bossy family member a family gathering is not the time to challenge the behavior. Choose your battles or just go along to get along. 8. Be flexible- lower you expectations and remember family time is not about you, it is about family. Be open to new ideas and a different agenda than the one you expected and go with the flow. 9. Be grateful- There are many people in the world who are forced to spend the holidays alone. Imagine sitting in a house, shelter or hospital with no visitors or family. Instead of looking for the faults in your mother, look at the good characteristic that others see. Your family is a true gift appreciates the time that you have to spend together. The end goal is happiness. Holidays are a time to be joyous the only person who controls how you feel is you, focus on happy and enjoy your family!